FC Zenit played its first match of the 2016/2017 Russian Football Premier League season against Lokomotiv Moscow. Led by Russian internationals Alexander Kokorin, Oleg Shatov, Igor Smolnikov and other nationals including Argentine Ezequiel Garay and Belgian Axel Witsel, the St. Petersburg team didn’t manage to open the scoring and finished the game with scoreless draw. In the pre-season, Zenit was left by Brazilian superstar Hulk who had been playing in St. Petersburg for the last four years, Belgian Nicolas Lombaerts and some other key players with Axel Witsel reportedly joining Juventus soon. The biggest acquisition of the club is the Brazilian midfielder Guiliano who didn’t take part in the match because has not still been put into the squad officially. Guiliano will start playing soon and help forwards Alexander Kokorin, Alexander Kerzhakov, who came back from loan in Zurich, and Artem Dzyuba. The greatest pre-season news about Zenit is the appointment of award-winning Romanian Mircea Lucescu as a coach who replaced Portuguese Andre Villas-Boas. 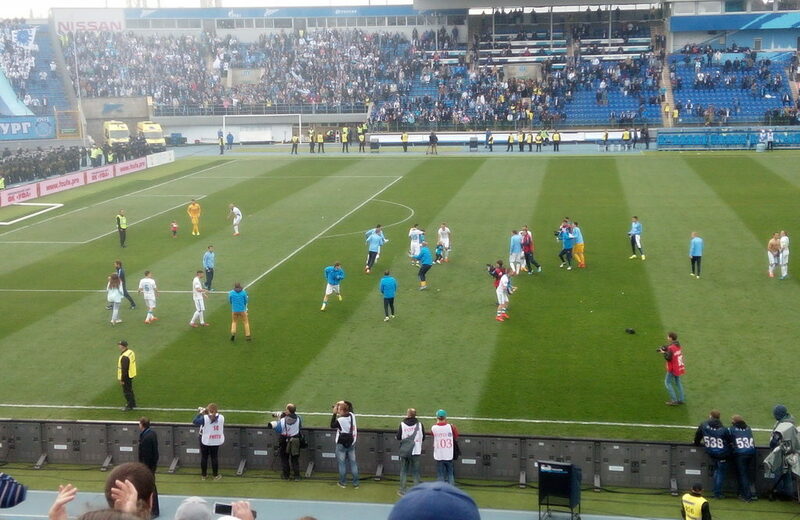 Before the start of the season, Zenit and Lucescu won their first prize, Russian Super Cup, after beating CSKA Moscow 1-0. In May, Zenit won the Russian Football Cup (beating CSKA 4-1) and CSKA became the champion of the Russian Premier League 2015/2016. 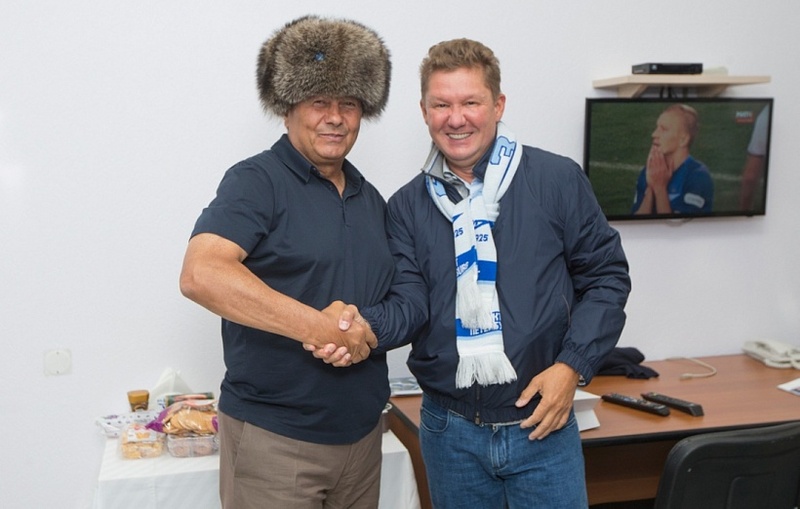 After the opening game of the season, Gazprom’s CEO Alexey Miller met Lucescu and presented him a traditional Russian winter hat called in Russia “shapka-ushanka” which can be translated as a “hat for ears”, just look at the photo below to understand what we mean. Gazprom is the owner of Zenit and Alexey Miller is one of the most rampant fans of the team. Zenit will be playing in the European League this European season.